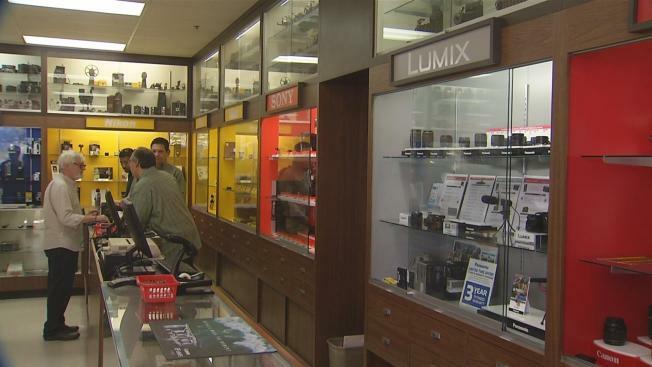 The end is near for a long-standing camera store in Palo Alto. Keeble and Shuchat, on South California Avenue, has been in business for 50 years. Now, it's closing, the latest victim of advancements in smartphone technology. "We're basically a sunset industry," owner and co-founder Terry Suchat said. The numbers are telling: five years ago, 22 million digital cameras were sold. Last year, one fourth of that total were sold. The convenience and quality of smartphone cameras have become too much to comete against. "They're wonderful; they take pretty good pictures," Suchat said. "They don't compare to high-end cameras, but still phenomenal." Like so many other so-called brick-and-mortar shops, Keeble and Suchat was done in by technology and consumers' love of online shopping. "Well, it's the way the business has become," Suchat said. "We don't like it at all. Our choice is accept it or close. I decided to close." The store, which employs about 35 people, is conducting one final sale of 10 percent off, plus it will pay the sales tax, Suchat said. The sale will last through October.